Holga eh? Sure why not. While I whine about the thousands of pictures I still have to go through from last year, I didn’t go through any this week. I’d love to say I was all wrapped up in some incredible new endeavour, but honestly I’d have to say it was more due to laziness. Anyhow, can’t go wrong with a picture of bike now can you? Not sure why but I love bike pictures, probably should move to Copenhagen or Amsterdam, but until then I’ll just drool over my pictures. 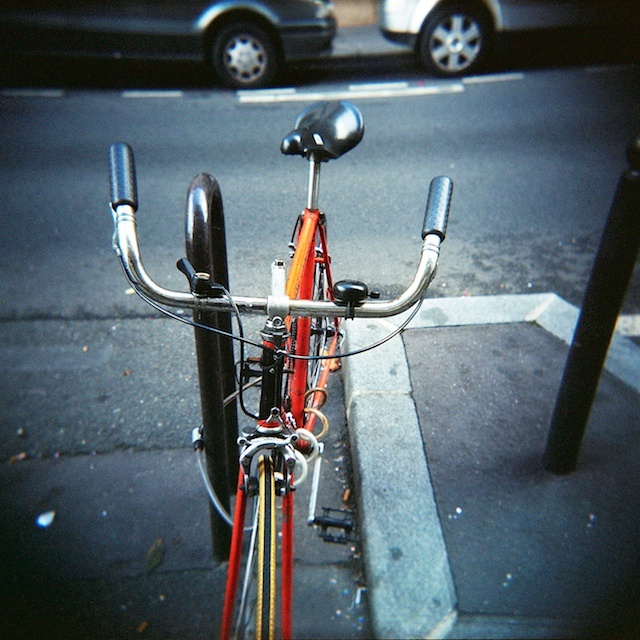 Taken with my Holga on some type of colour film, quite likely Kodak VC160. 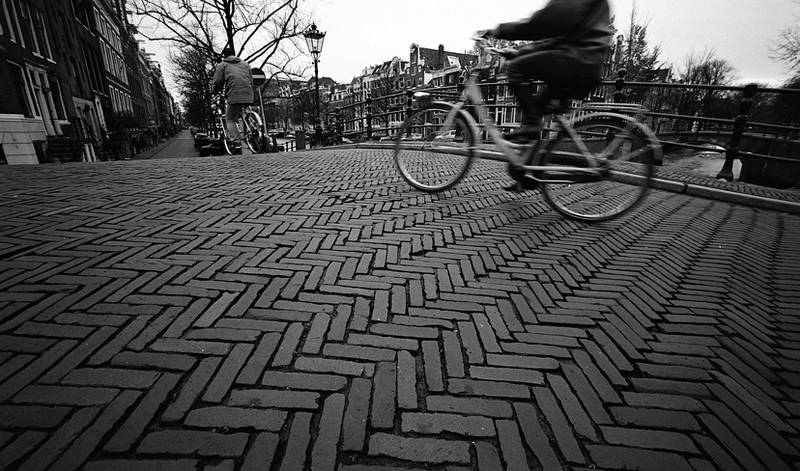 This week’s photo courtesy of Amsterdam…. Taken with my xpan on fuji pro 400H film, then converted to BW in Aperture. Speaking of Aperture, why does it take it about 5 minutes to convert 5 photos into web sized jpegs? In fact it takes forever to do just about anything that any of my older photo editing programs can do almost instantly… Apparently you get what you pay for as it is one of the cheaper ones out there… Sorry for the rant. Taken with my hasselblad xpan, 45mm, Fuji Pro400. Back from travelling and a ton of pictures to sort through. 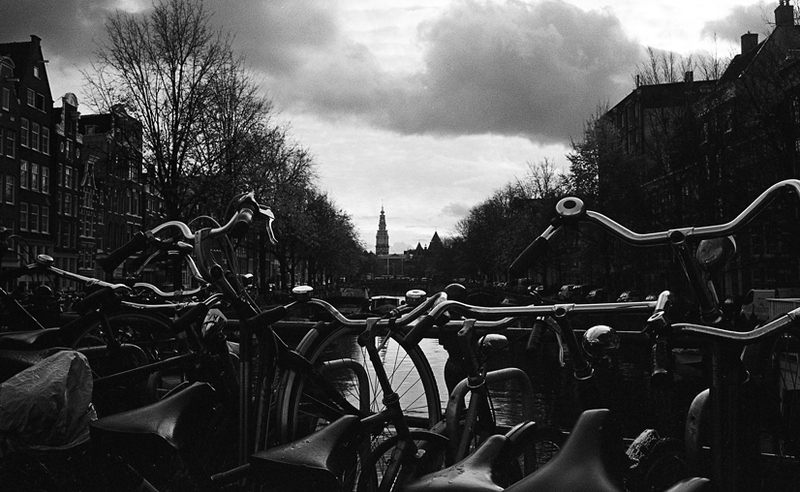 After a couple of weeks in both Amsterdam and Berlin, I have many rolls to develop, would have been even more but there was a fair amount of rain that made picture taking a little less enjoyable. Berlin was incredibly dark and overcast, that combined with the early sunsets meant not a lot of light in general. Anyways, in Amsterdam everyone rides bikes, I was truly jealous not to live somewhere where this is the culture. The one thing that really stood out for me were the bikes seen above that could carry loads! During the week I was there I saw variations of this bike carrying everything from kids, to lumber (sheets of plywood) to a couch (two seater love seat, yes I’m serious). These seem like such a great idea as you can haul your kids as well as your groceries, and your precious cargo is right in front of you unlike in a chariot type trailer. We’re planning a November trip to Amsterdam and came across this great little hotel. 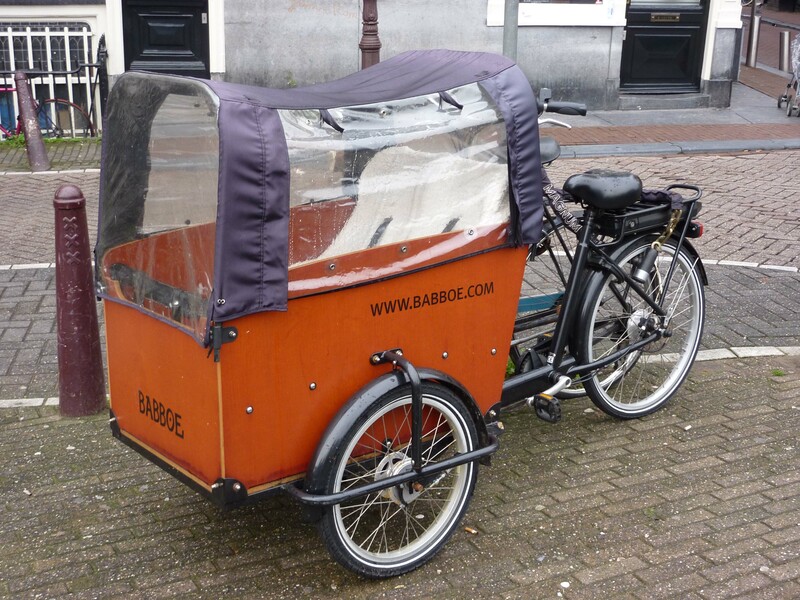 The Bicycle Hotel is designed for those seeking cheap comfortable rooms with an eco slant. They have solar power and offer free bike parking as well as very affordable rentals (7 euros/day). Rooms are pretty cheap and include breakfast, what more could you ask for? Would love to see more North American hotels cater more to the bike crowds.